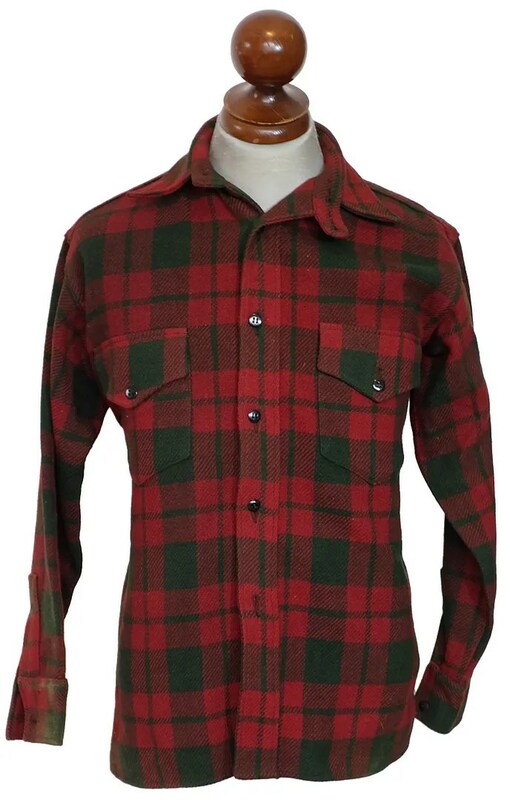 This vintage shirt was made by the J.O. 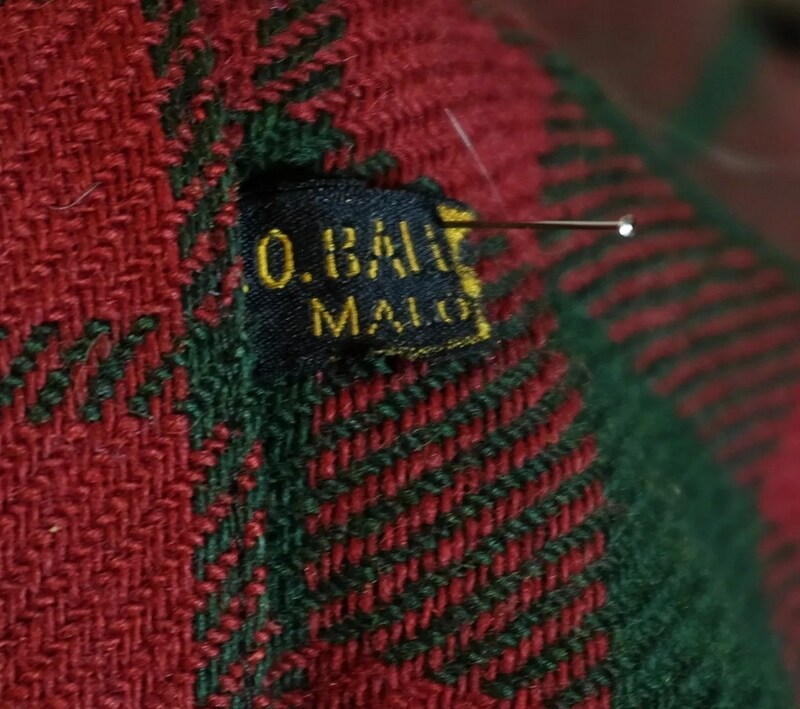 Ballard woolen mills of Malone, New York. 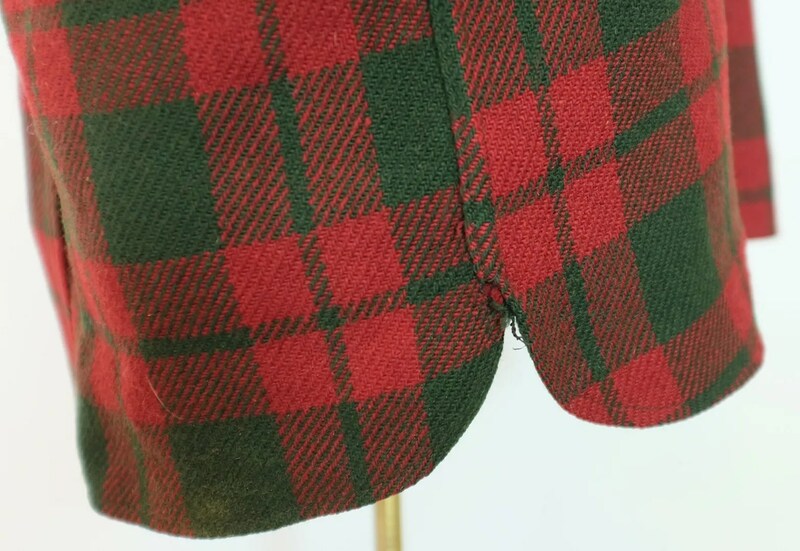 It is made of a red and green plaid. It has flapped breast pockets, a chinstrap (extension collar stand) and vertical keyhole buttonholes. J.O. Ballard was founded in 1888 by Jay Olin Ballard, and traded alternately under the J.O Ballard name and the name, Malone Woolen Mills. 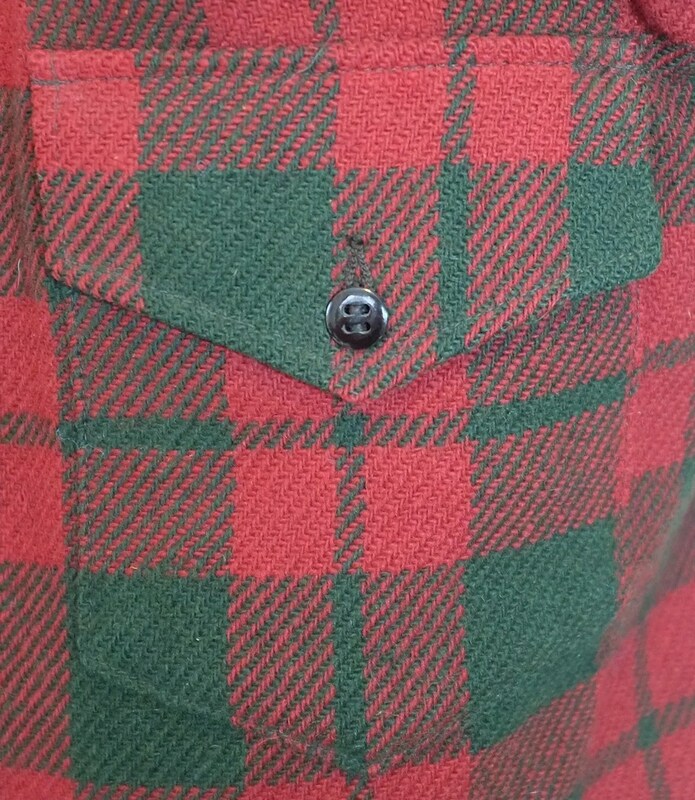 The company began making wool outdoorsman’s breeches in 1891 and followed up with mackinaw coats like this one. 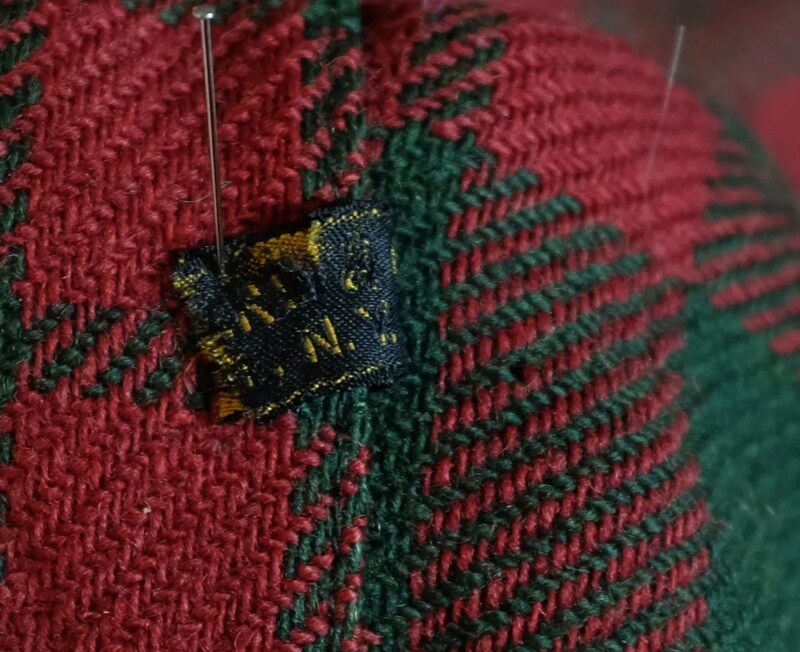 They were famous for their Malone plaid- gray with red and green overchecks. 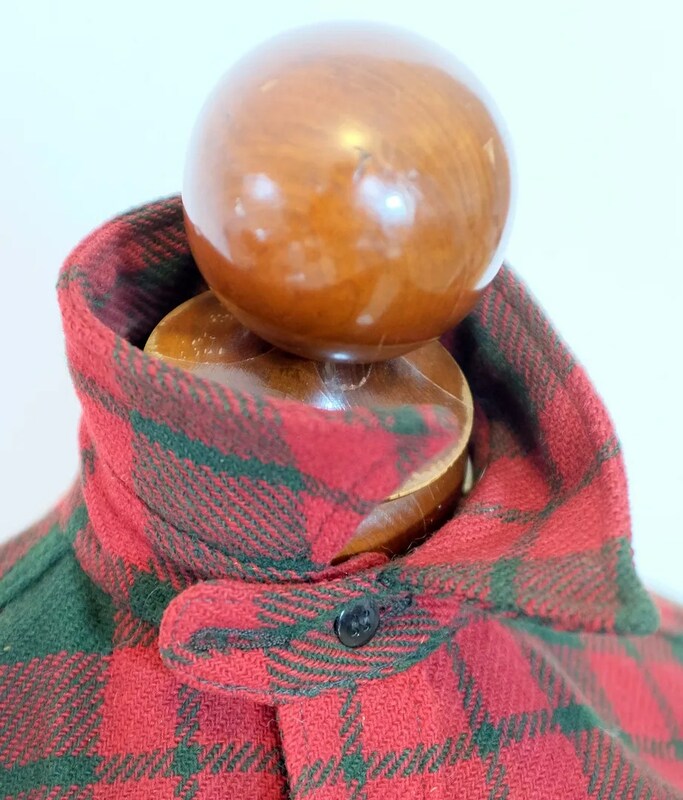 Coats of this cut were advertised to hunters, hikers, mountain climbers, lumberjacks, workmen and all other stripes of outdoorsmen. The depression closed the company in 1933. It re-opened again in 1935 with the assistance of an Reconstruction Finance Corporation loan, a depression era loan program. 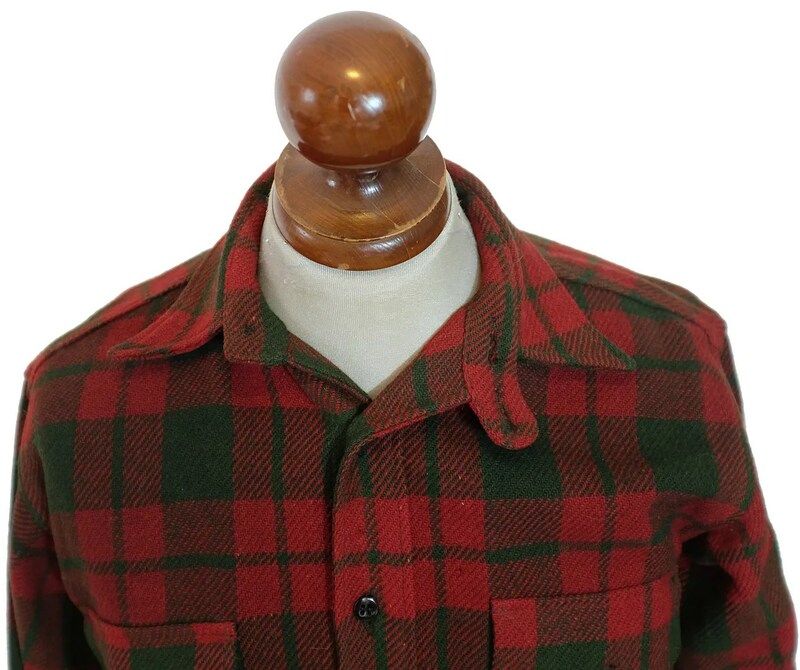 This entry was posted in shirts, workwear and tagged 1930s, chinstrap, clothing, fashion, hunting, J.O. 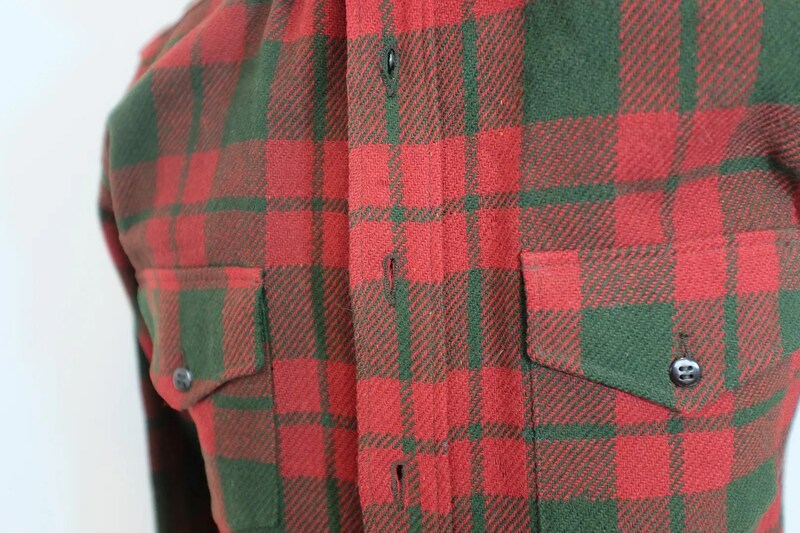 Ballard, mens, plaid, style, vintage, work shirt, workshirt by Spencer Stewart. Bookmark the permalink.